Leave it up to Pixar to create yet another animation masterpiece. The first trailer of their latest film “Inside Out” promises to be another gem in the creative portfolio of Disney Pixar. What happens in our head during regular conversations at the breakfast table? Disney Pixar gives us the answer with their creative new film Inside Out. The film gives us a literal look inside the head of a young girl called Riley, growing up and experiencing day-to-day situations. The voices in her head are represented by some colorful creatures who in their way have their own emotions. These emotions, which are Joy, Sadness, Fear, Anger and Disgust play an important role in this film. During the film she must learn to control these emotions and let them live in harmony with each other. Joy being the most important emotion, tries to keep things positive while Riley has to adapt to her new live when she and her family move to San Francisco for her fathers new job. **Inside Out **is set to be released 22 July 2015. The film stars some well known actors and actresses, such as: Diane Lane, Amy Poehler, Kyle MacLachlan, Bill Hader and Phyliss Smith. 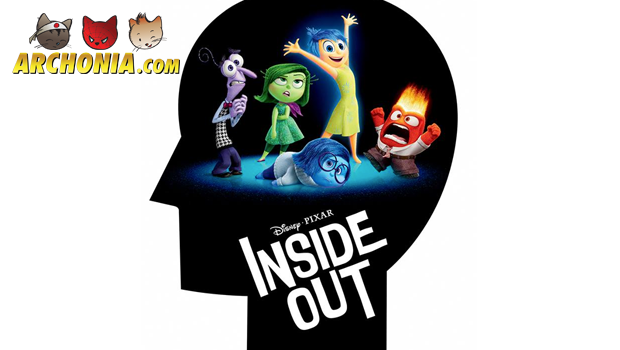 Keep checking our blog for more news and footage of Inside Out!